The best of both worlds — vintage and modern — come together to celebrate Barbie® doll’s 50th anniversary! 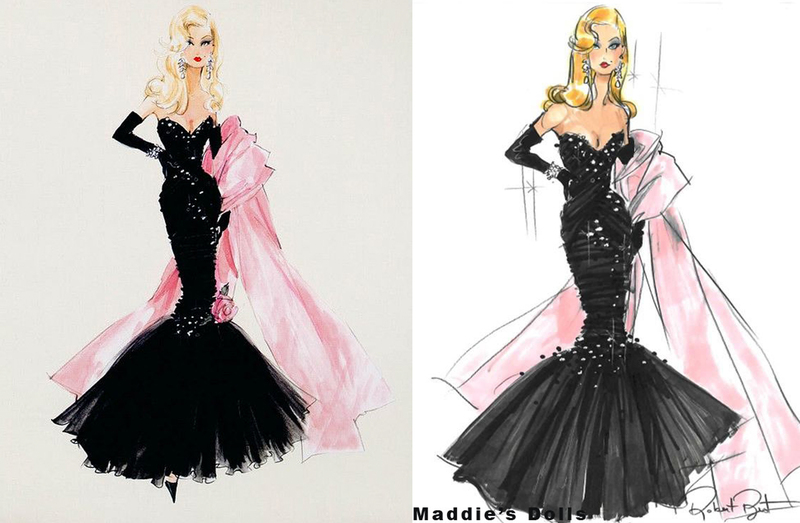 Robert Best has created an amazing interpretation of the original Barbie® doll from 1959, with a Silkstone® twist, of course! From the chic upswept ponytail to the sparkly black and white bathing suit to all the sensational accessories, this glamour girl will set tongues wagging. Gorg-eous! Convention doll for the Paris Fashion Doll Fesitival. 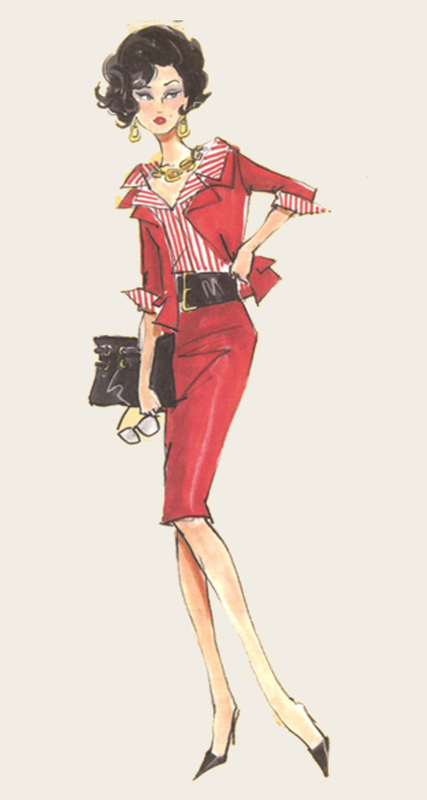 All work and no style play is not an option for today’s woman as the office meets the runway. 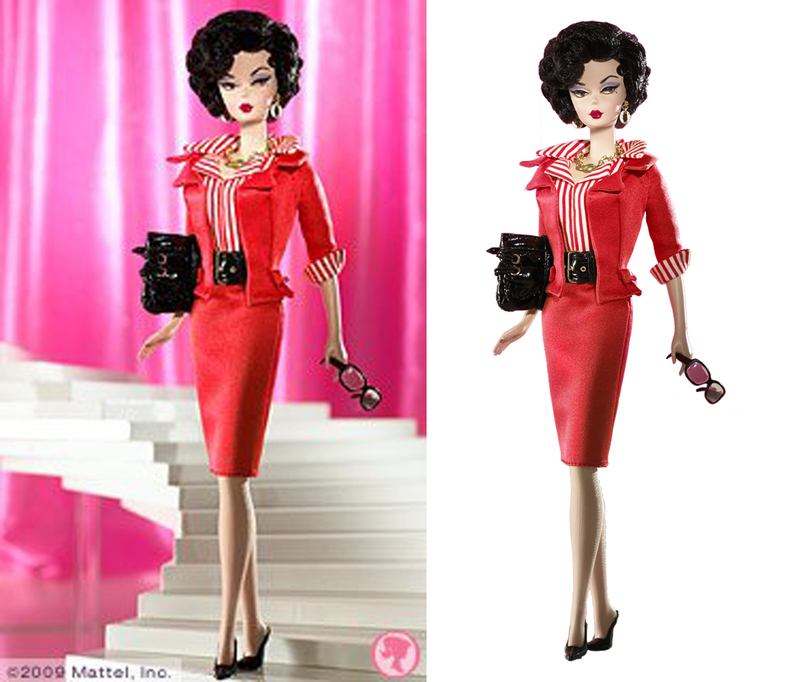 Gal On The Go™ Barbie® Doll wears an inspired take on 1960’s fabulous Busy Gal™ ensemble. Recreated by Robert Best, this exquisite doll and fashion perfectly celebrate Barbie® doll’s 50th anniversary. The “Since 1959” Collection commemorates famed vintage Barbie® fashions, re-invented for a new era! Fifty years ago, haute couture traveled from French ateliers to Southern California for our own beautiful fashion maven, Barbie® doll. 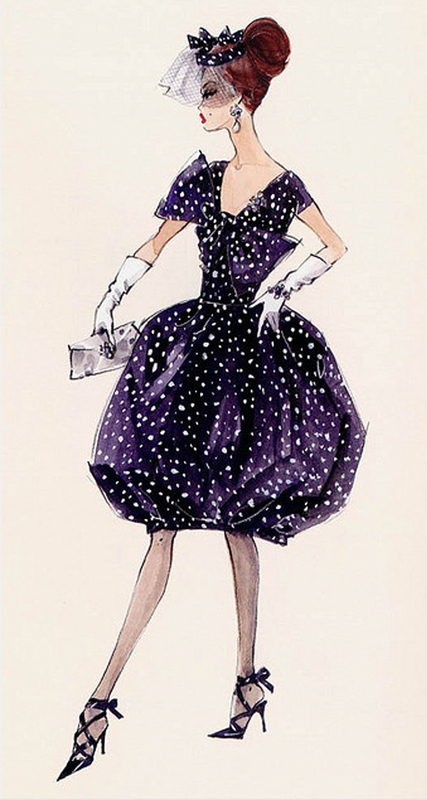 A stylish favorite, Gay Parisienne® now inspires Robert Best to create a celebratory 50th anniversary re-design. Oh so chic, oh so stylish, oh so Barbie®! Brava! This diva of dance is perfectly en pointe in the magical world of the ballet! 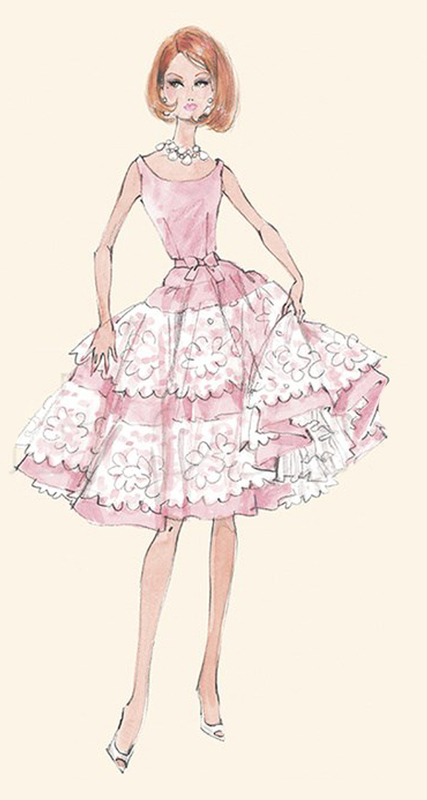 A tour de force of romantic design, Prima Ballerina™ Barbie® doll draws inspiration from a 1961 Barbie® fashion, reinvented today by Robert Best in celebration of Barbie® doll’s 50th anniversary! The “Since 1959” Collection commemorates famed vintage Barbie® fashions, re-invented for a new era! Gentle, ladylike, and oh-so-romantic, Barbie® doll looks lovely in a chic modern take on vintage fashion Plantation Belle™. A pale pink dress accented with delicate lace compliments the doll’s auburn bob and sophisticated face paint. The “Since 1959” Collection commemorates famed vintage fashions, re-invented for a new era! Barbie®doll is always the dramatic, superlative star! Stunning in the Spotlight™ Barbie® Doll is ready for her close up in a re-creation of the 1960’s Solo in the Spotlight® fashion with a modern twist. Edition size together with the Golden Gala Barbie CC 1200. For the first time ever, Robert Best brings his signature Silkstone™ style to the 2009 National Barbie® doll Convention in Washington D.C.
Retro-inspired Golden Gala Barbie® doll wears an elegant gown of golden brocade, featuring a mermaid skirt, and vintage inspired jacket. 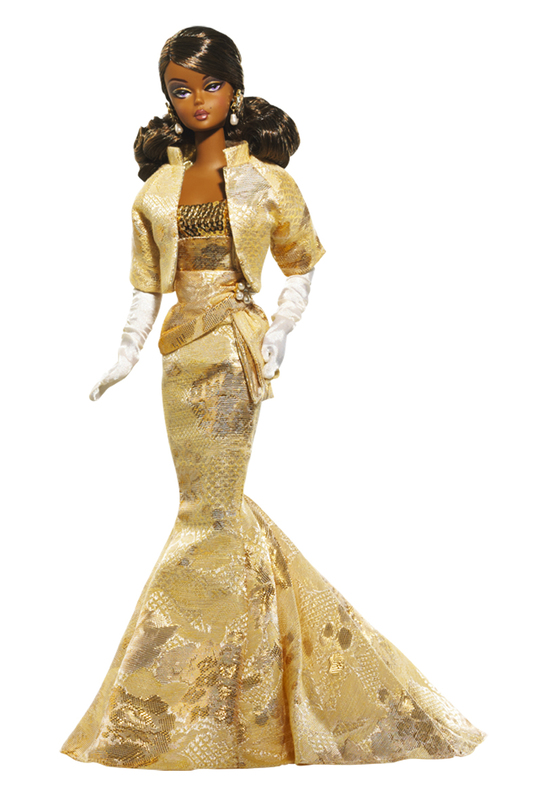 This African-American Silkstone™ doll comes with sophisticated accessories that complete her glamourous look. Edition size together with the Golden Gala Barbie AA 1200. 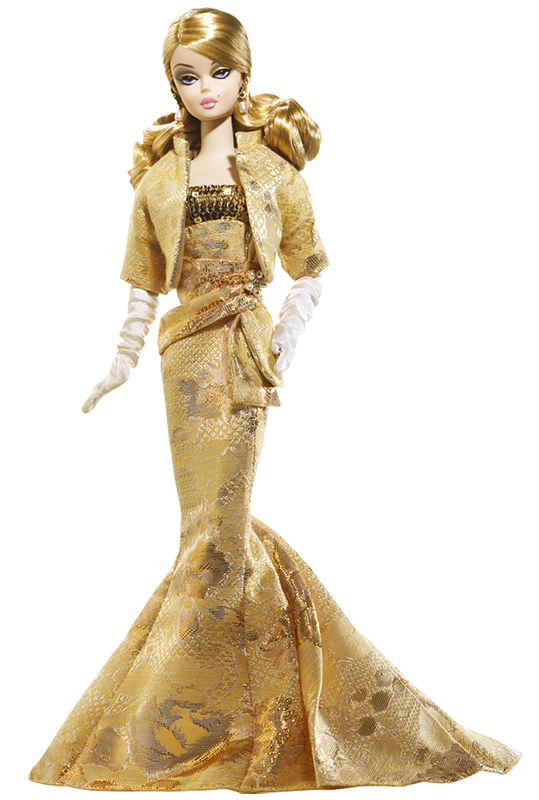 Retro-inspired Golden Gala Barbie® doll wears an elegant gown of golden brocade, featuring a mermaid skirt, and vintage inspired jacket. 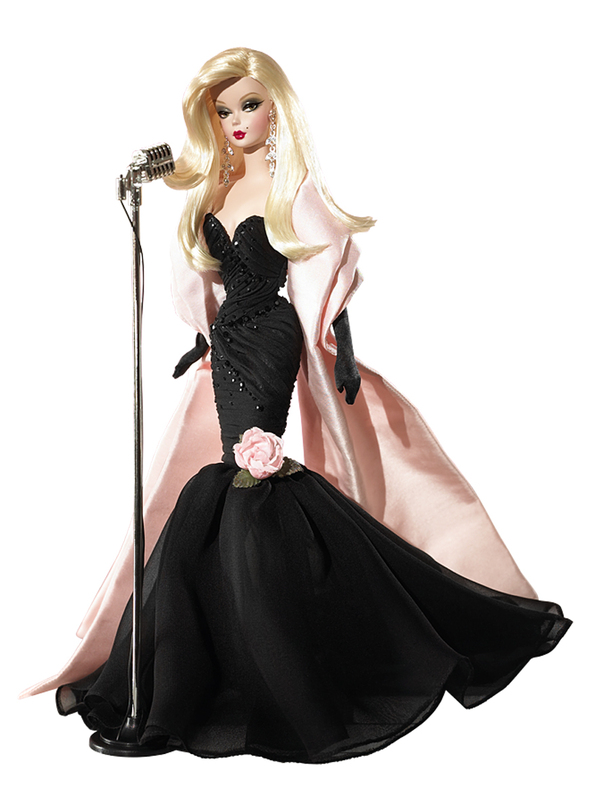 Honey blonde hair, violet eyes, and sophisticated accessories complete this exceptional doll’s look.